View the trails and lifts at Wolf Ridge Ski Resort with our interactive trail map of the ski resort. Plan out your day before heading to Wolf Ridge Ski Resort or navigate the mountain while you're at the resort with the latest Wolf Ridge Ski Resort trail maps. 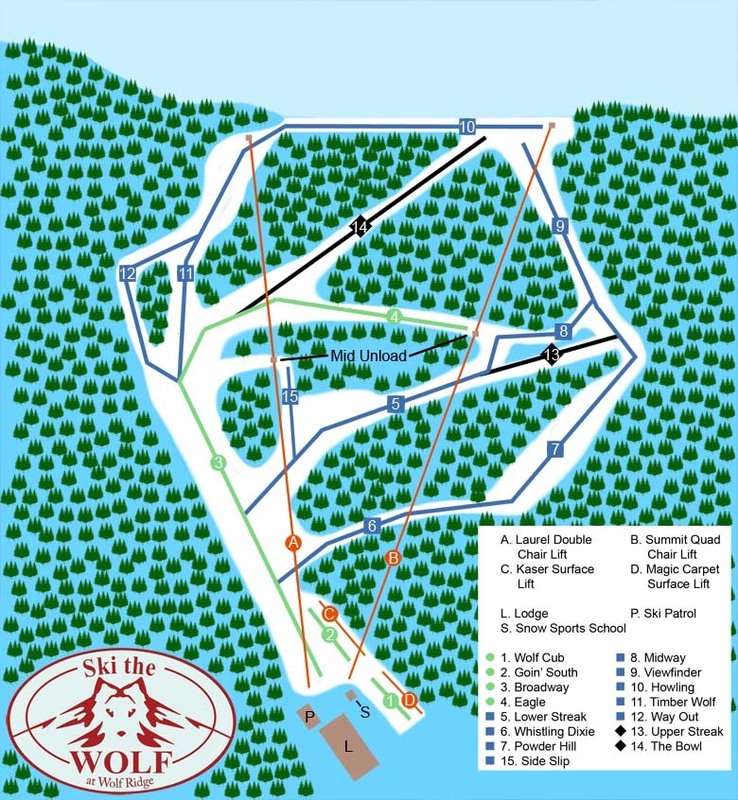 Select resorts also feature an additional trail map from partner, FatMap that provides a 3D view of the ski resort, including slope steepness and aspect, along with information on what it's like to ski each of the trails at Wolf Ridge Ski Resort. We are open to the top of the mountain. Come ride the Wolf! Went on 1/17/19 only one lift open with a smaller but manageable crowd. No real wait for lift. Slope a little icy at the top but fresh snow for the win. Skied on Friday and Sunday. Snow was mostly slushy. Hopefully some cold weather and snow will move in to extend the season more. Rapidly melting. Great place for young and inexperienced skiers.